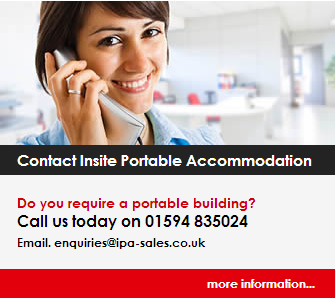 For all your Portable building enquiries, Please visit www.insiteportableaccommodation.co.uk or contact 01594 835024. We have a large range of units available including canteen units, large office units, toilet blocks, storage containers, Classrooms. We are based in Sling, Gloucestershire and deliver Nationwide including Wales, Devon, London, Worcester, Bristol even as far as Scotland. We also deliver locally to Forest of dean, Cinderford, Coleford, Gloucester, Chepstow, Monmouth,Hereford and surrounding areas at competitive prices.